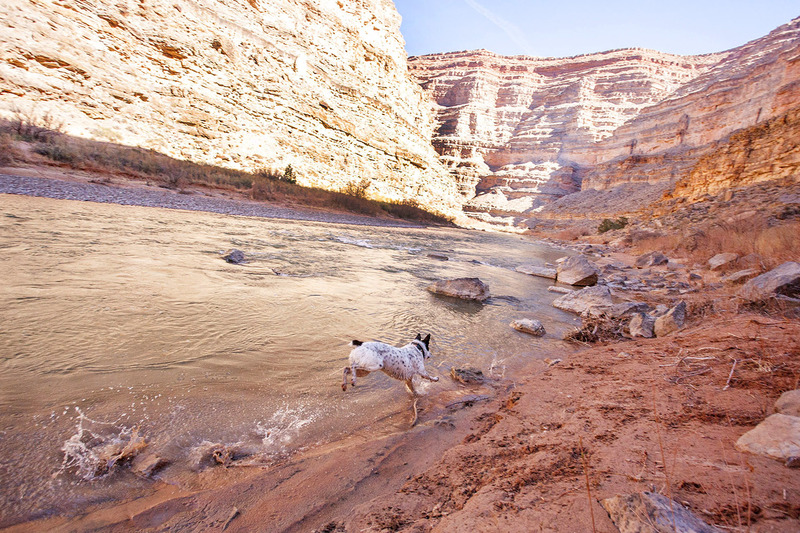 We can't imagine RVing without dogs. 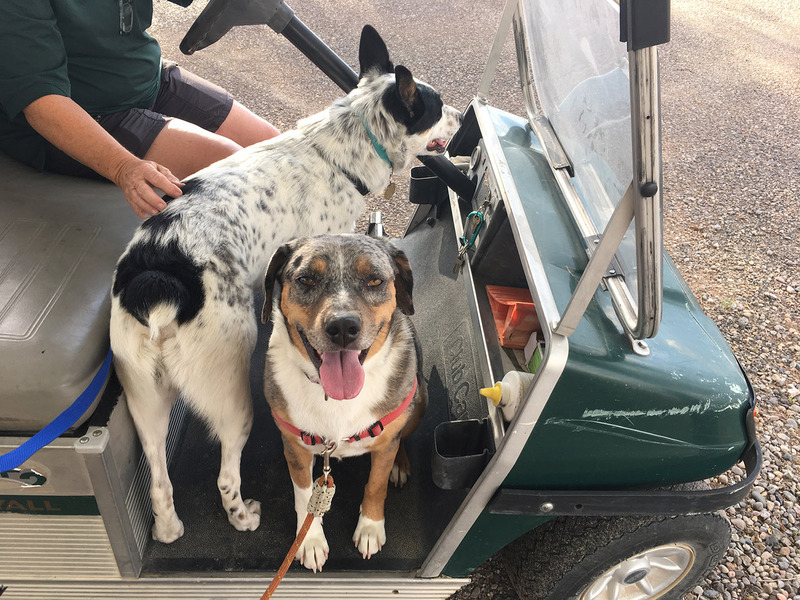 They make life so great, and let's face it, one of the main reasons we wanted to full-time RV was so that our dogs could go on awesome adventures with us! This month, we're celebrating the first adoptiversary of Mushy (formerly Marshmallow), who was adopted "on the road". We've heard that some full-time RV'ers have run into problems trying to adopt a dog because of their unique living situation. We'd like to share Mushy's story and some tips we learned from his adoption process, to help others who may be searching for a new co-pilot. We had started our RV life with Lily and her tiny friend Stimpy, our 9 pound, blind, senior chihuahua mix. Both Lily and Stimpy were adopted from shelters when we were living a sticks and bricks life. Stimpy loved RV life (we referred to it as his "retirement"), loved having us at home all the time, and did remarkably well despite his blindness. Unfortunately, 6 months into our RVing journey, he fought a sudden battle with cancer, and passed. 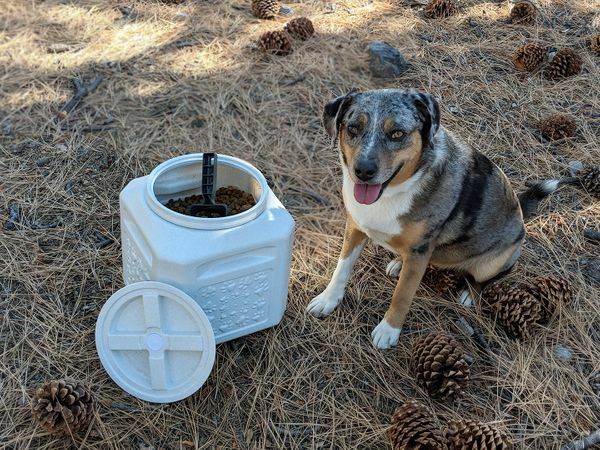 Because Stimpy had such an amazing time as an RV Adventuredog, I knew I wanted to adopt again soon, to give another rescue dog the life that Stimpy had. When I felt I was emotionally ready, I started perusing Petfinder.com (you know how dangerous that can be) and there he was... Marshmallow. A happy looking cattle dog mix (bonus points — photographed in a vehicle!) rescued by, and fostered with Desert Paws Animal Rescue in New Mexico. Small dogs, due to their size, may be a common choice for tiny living, but after years of having a blind dog that often had to be carried in a sling on my chest, I was ready for a big dog who could hold his own on adventures – and Marshmallow looked like he was up for the job. But there was a problem ... the rescue group's website said they generally don't adopt out-of-state. Well, I mean, we were in-state at that moment! (Ha!) I decided to go for it, knowing that we had a lot of unique circumstances I would need to speak to and assure the rescue that Marshmallow would be in good hands. 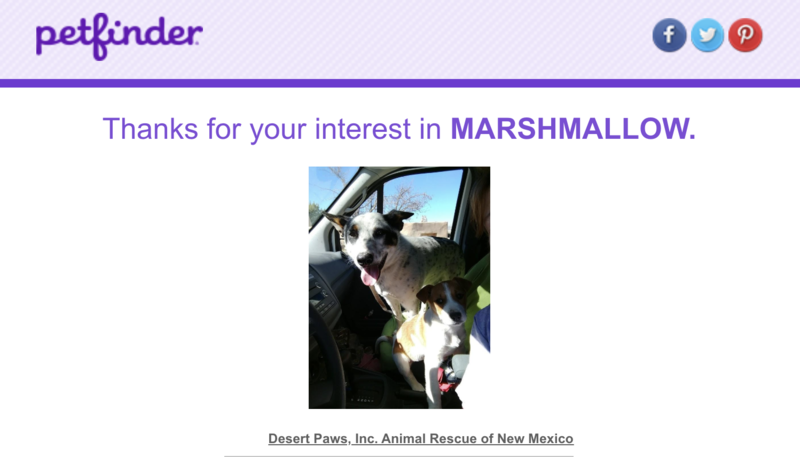 I sent my application to Raymond and Krystyn, the founders of Desert Paws NM, and anxiously waited for a reply. Before I tell you the rest of our story, let's go over some unique challenges full-time RV'ers may face when adopting a dog on the road. Raymond from Desert Paws summed this up well. "It's not just the fact of placing the dog into a new home. In this case, it's placing the dog in a moving home with no secure yard, people he doesn't know, and a totally new situation that would soon change over and over." After speaking with Raymond and Krystyn, I totally understand the reasoning. Aside from wanting to keep in touch (because they have been so involved with the pet from the moment of rescue in a dire situation, providing medical care, fostering, etc. ), they want to be able to get the animal back to them if something drastic happens and the adopter cannot keep the pet. They don't ever want the pet dropped off at a random shelter. "Distance can create many more difficult challenges and the connection can get lost easily," says Raymond. Is this dog a good fit for your lifestyle? Are you considering a high-energy dog, but you yourself don't enjoy hiking, jogging, or endlessly throwing a ball at a dog park? RV life means you can't just let your dog out into the backyard to run around. Are you ready for that commitment, even in inclement weather? Some RV parks have strict breed/weight/number of pet restrictions, or even charge an additional pet fee per day. This is not an issue for us (because we don't like to give places like these our money), but it is something to consider if you primarily stay at RV parks. In fact, most national parks are not dog-friendly at all (unless you're really looking forward to parking lots in gorgeous places!). Are you willing to tailor your plans to fit the needs of your dog? 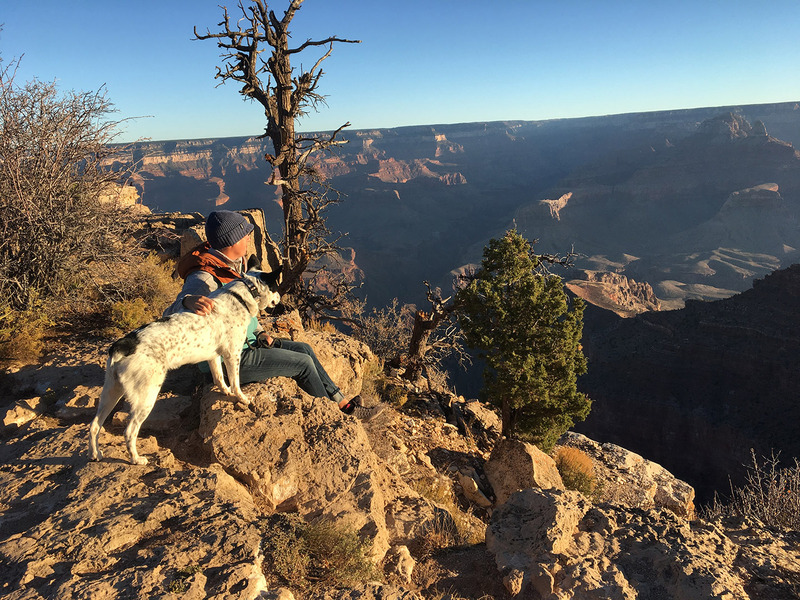 We often only visit dog-friendly destinations or spend more time at National Forests and State Parks than National Parks. Some owners pay for a kennel or doggie daycare stay while visiting places their dogs cannot go. Small dogs look like prey to coyotes, owls, and hawks. Even big dogs can be lured away by coyotes, and can't hold their own against the whole pack — but this risk is significantly larger for smaller dogs. Dogs of all sizes can get bitten by a snake, or eat poisonous mushrooms. A chance encounter with a bear is much more likely to be dangerous if the bear reacts to a dog challenging it. 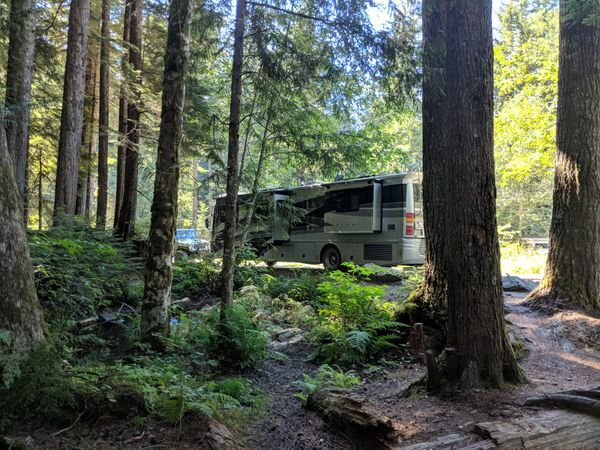 As RVers who love boondocking, we are often deeper into the wild than your average family, for longer periods of time, with our dogs roaming around. We also go on lots of hikes. 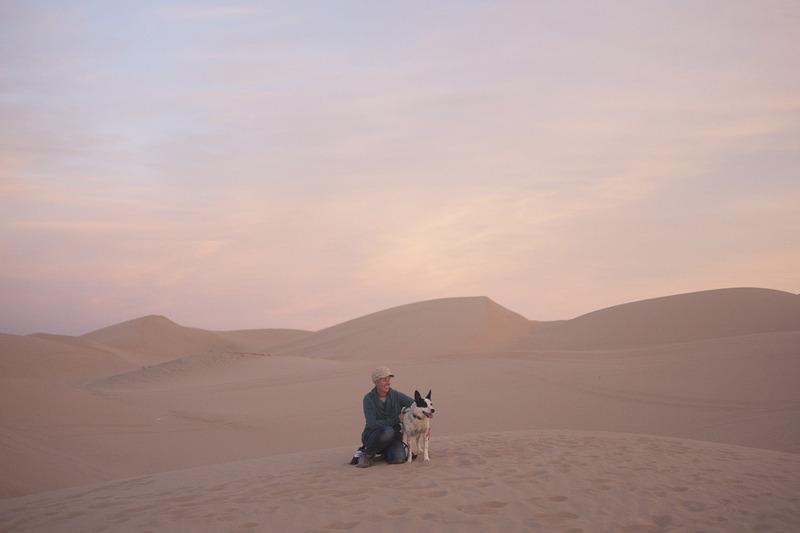 Boondocking RV dogs are more exposed to the wildness of nature than suburban backyard dogs. The rescue/shelter folks you wish to adopt a dog from will likely want all family members to meet the new dog. Do you already have a pet? Keep in mind, just because you like a new pet, doesn't mean your current pet will. The rescue or shelter will likely want to do a meet and greet to observe how they interact. These dogs are going to be living in a small space together, so it's imperative they get along. We've read that boy dogs are more likely to accept new girl dogs into their homes, and the hardest introductions can be new girl dogs into homes with existing girl dogs. Dogs can get territorial in these new circumstances, even if they've never previously shown any hint of such behavior. It helps to meet in a neutral setting, and maybe go for a walk where the dogs are not too close, but can observe each other over a period of time and get used to the new smells. After our successful meet and greet with Marshmallow, Krystyn from Desert Paws shared a funny story from Mushy's past, where they took him for a home visit with potential adopters. "He walked into the house, looked at the people, thought it didn't feel right, and walked right back out to the van. We respect the animal. The people were wonderful, but Mushy knew it wasn't where he was supposed to be!" She goes on to say that during our first meeting with Mushy, "He came to both humans, enjoyed their company, and really liked Lily. The dogs got along well in the rig. Ane and Tommi clearly respected animals and asked all the questions they needed to know to feel comfortable with the adoption. We felt comfortable putting Mushy's life in their hands." A photo of Mushy and Lily during their meet & greet. Buds from the start! Now that we've gone over the challenges, here are some suggestions on how to ensure a positive and successful "on the road" dog adoption! Do not skip any sections. This is likely the rescue or shelter's first impression of you. Make it a great one! 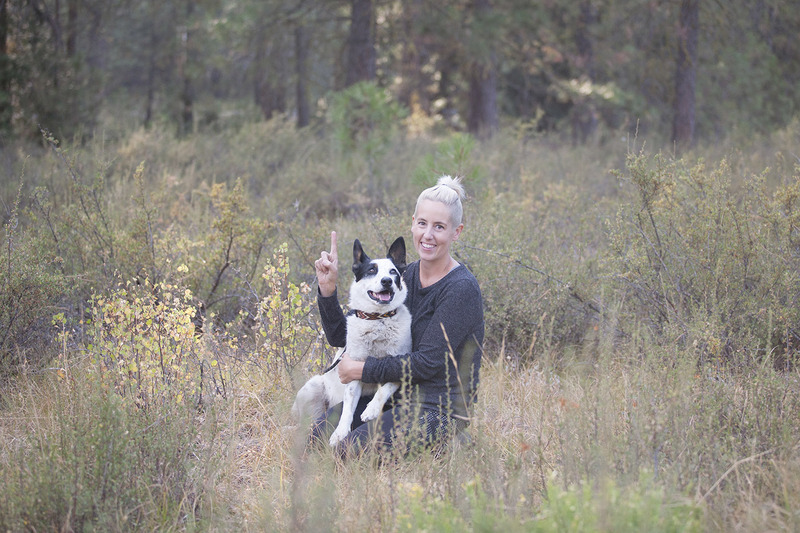 You will want letters from people who can vouch for how well you take care of your animals and from your previous (or current, if you have pets) vet. You may know you'd make a great dog parent, but the shelter or rescue doesn't, so you need to give them resources to learn more about you. While adopting Mushy, we made plans to stay in the area for a two-week span so that Desert Paws could come meet us and do the home visit. A few days later Mushy came to stay with us. During those two weeks, we were able to form a bond with Mushy and Desert Paws was able to check to see how he was adapting, before we left the state. Raymond and Krystyn later told us this long stay played a big part in them feeling comfortable about adopting Mushy out to us. Invite the adoption team to your RV and be ready to explain how you will handle unique challenges of keeping a pet safe in an RV (high temperatures, pet safety while driving, regular vet visits, emergency situations, etc.). Do you have a blog, FB page or Instagram account that has your current, or previous pets in featured on it? Share it with the person evaluating your application so they can get a feel for you, your lifestyle, and how your pets factor in. "This could be the new life of _____." Flexible schedules are great for pets! As fulltime RVers, many of us work from home, have flexible schedules, or are retired. That means more time to spend with your new dog, and something you should mention if it applies to you. 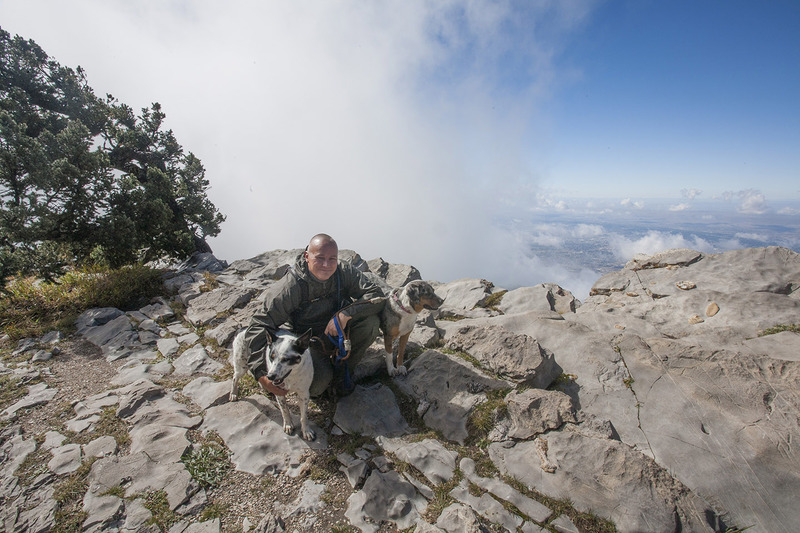 Tell the rescue what awesome adventures you plan to do with your dog! Hiking? Jogging? Visiting a dog park in every state? Help them envision what this dog's life could look like, if they choose you. Have you tried all our tips and still getting denied? Listen to the concerns you're hearing, as they're likely in the best interest of the dog. Although it can be difficult to hear criticism, it's coming from a good place. But if you're just not meshing well with the rescue or shelter, move on. There are so many homeless pets, you will find the right rescue or shelter willing to work with you. Please don't give up on adoption! In the end, we were approved to adopt Marshmallow. It was a bit more of a process than my previous dog adoption experiences when living in a sticks and bricks, but so worth it. Marshmallow, now Mushy, Mushè, Mush Man, Da Moosh, (I could go on, but I’ll spare you) has now been with us 1 full year and sure is one happy RV Adventuredog! What I'm most proud about is how much his confidence has grown! He does still have some anxiety on driving days (we have a diesel-pusher class A, so the rumbling of the engine worries him and he hunkers down in his crate). But as soon as the parking break comes on, and the engine turns off, HE GETS SO EXCITED!!! He bounces around as I bring the living room slide out, and he starts play-biting Lily. He is ready to go! He always has to be the first dog out of the RV, to check out his "new backyard." Originally a bit timid and wary of strangers, he now sits in front of new people and offers a paw to shake, "I'm Mushy Fastpants, nice to meet you." Lily has always had free roam of the RV (her full name is Lily Goodgirl for a reason! ), but since Mushy was new to us and familiar with crate training (thanks Desert Paws! ), we set up a crate in our RV (I know, not ideal in a small space). He goes in the crate when we drive the RV, when he eats or gets treats, and if we need to leave the dogs unattended. We were able to secure an Ikea tabletop to the top of his crate, to have the crate double as furniture in our living room area. At some point he may graduate away from the crate, but right now he loves it, and it's comforting to him, so it's a win/win. When we first adopted Mushy, we were giving him 7 miles of exercise per day. We've been able to scale back a bit since then, but when you have a dog that's used to playing with other dogs in a backyard all day, and then you put him in a 250-square foot RV, you need to make up for it! If we don't do this, it becomes dog Wrestlemania down our RV hallway. Some of Mushy's favorite activities (that also really tire him out) are hiking, jogging and roller skating! (All with a human of course). 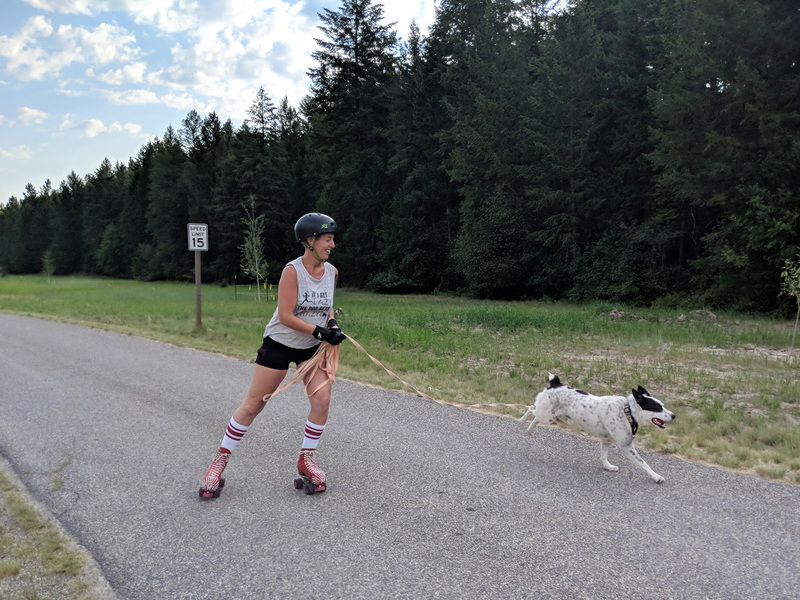 Roller skating is one of Mushy's favorite activities! We usually travel less than 200 miles at time, and even in that have preplanned breaks. A little walk at a rest area does wonders to keep the dogs calm. We also make sure everyone's done their business before we depart. I remember driving on a crowded freeway in California once when my chihuahua jumped out of his travel pet bed and started roaming the RV looking for a poop spot! Not a situation you want to find yourself in, especially if driving alone. Felt the sand under his paws at Imperial Dunes in California. Frolicked along the San Juan River in Utah. Watched the sun set at the Grand Canyon. 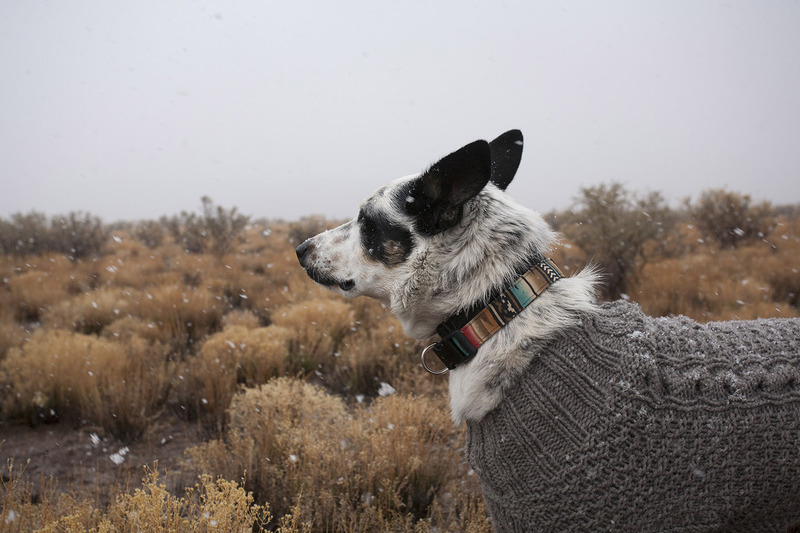 Wore an adorable sweater during a spring snow in Moab, Utah. Hiked above the clouds on the Sandia Mountains in New Mexico. 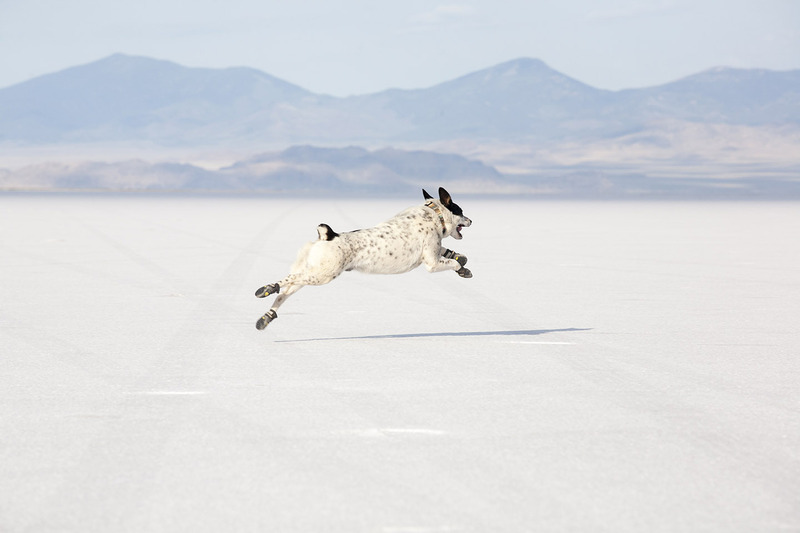 Broke a land speed record at Bonneville Salt Flats in Utah. Decided he (and Lily) wanted to be camp hosts in Bernalillo, New Mexico. 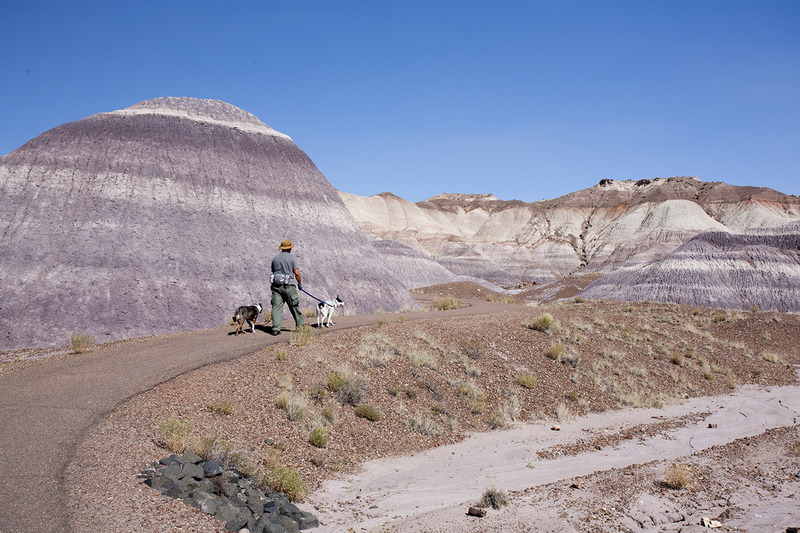 Walked amongst a painted desert at Petrified Forest NP in Arizona, one of the most dog-friendly national parks. Good luck on adopting your new co-pilot! 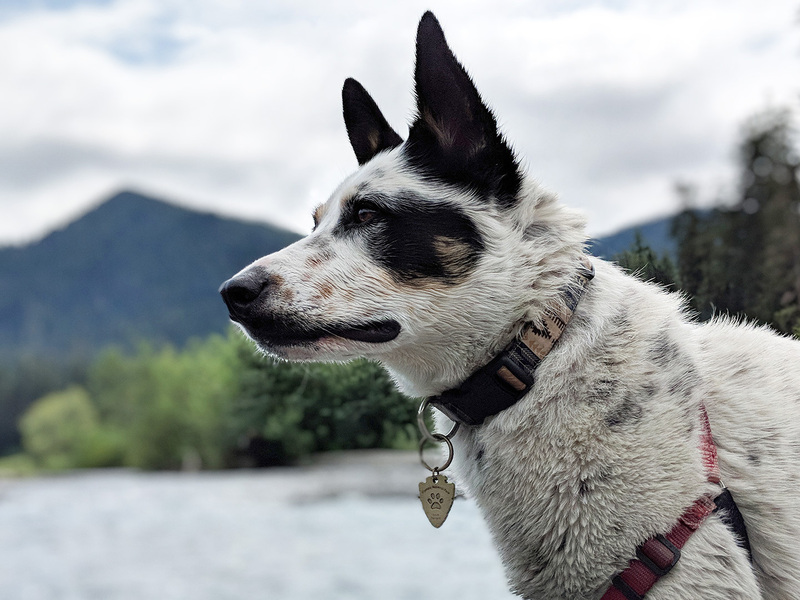 There's a lot to take into consideration when adopting a dog while full-time RVing, but they make the best travel buds, don't criticize your driving, and will be forever grateful to you for rescuing them. 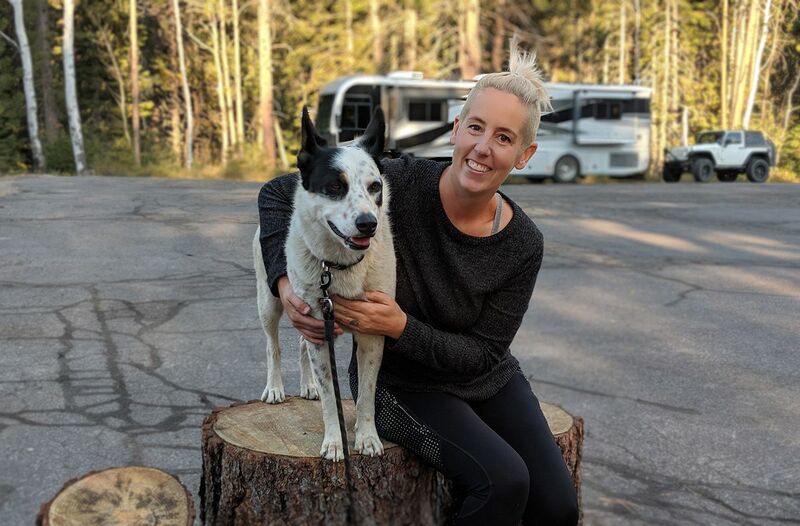 Are you looking to adopt a dog while full-time RVing? How's it going? We'd love to hear your experience below in the comments. 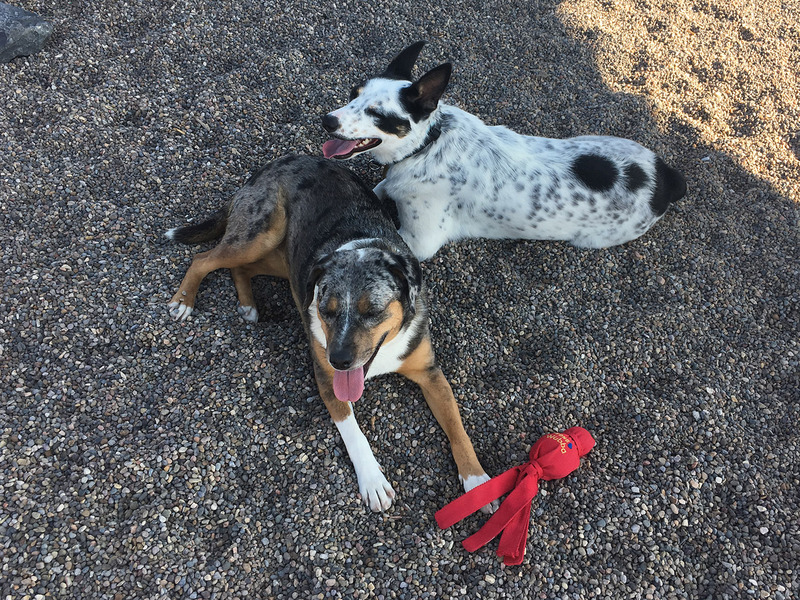 Thank you to Krystyn and Raymond from Desert Paws for working non-stop to help animals in need, and still taking time to contribute their insight for this blog post. If you're in New Mexico and are looking for a wonderful companion, they're the folks to go see. 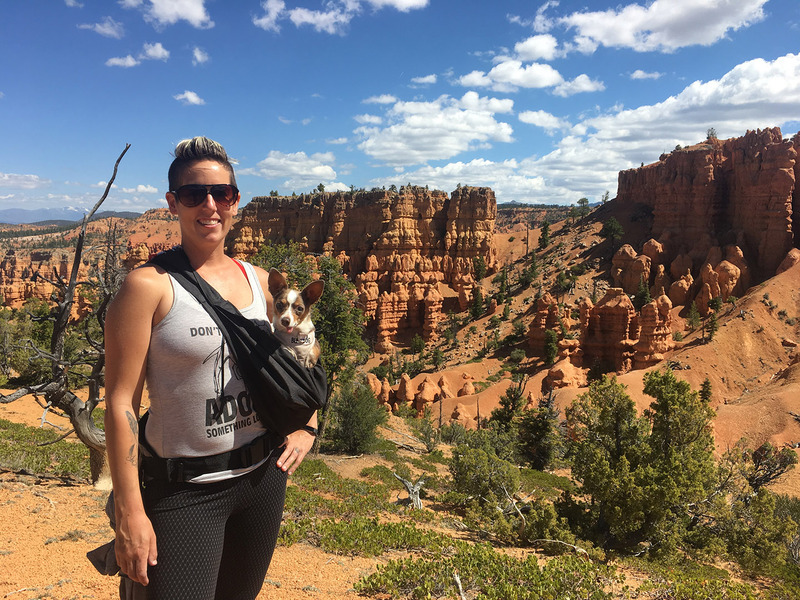 They assist several pueblos in the rural Cochiti Lake area with animal medical assistance, a spay/neuter program, and the rehoming of unwanted dogs and cats. Tell them Marshmallow sent ya!